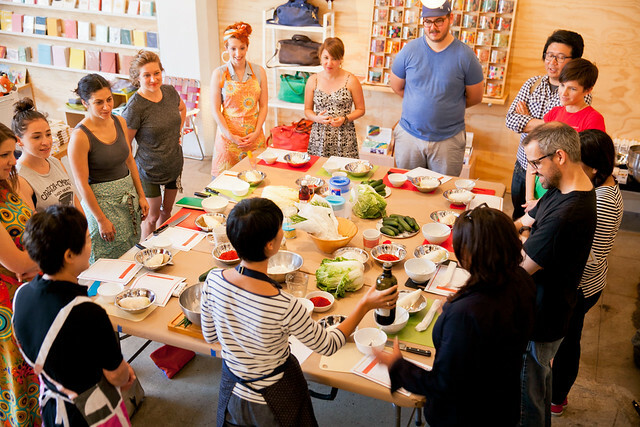 Workshop Recap: Crazy for Kimchi. 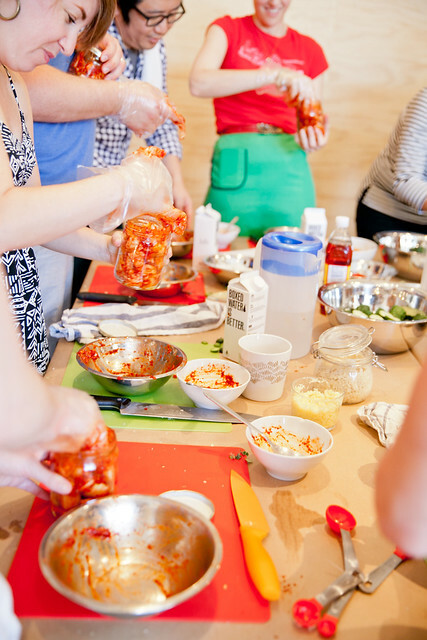 Thanks to everyone who came out to the ‘Crazy for Kimchi‘ workshop on May 19th. 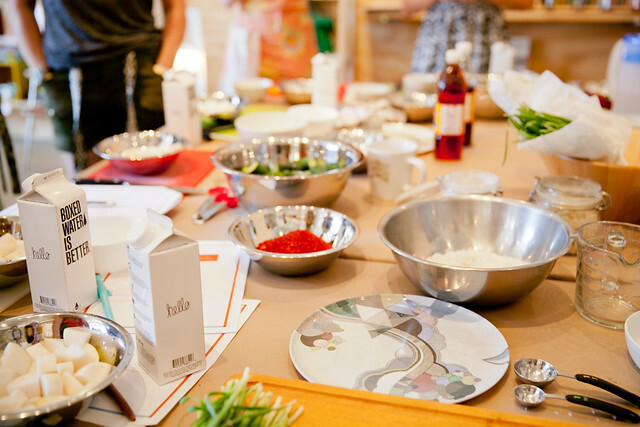 The workshop taught by Lydia Kim, the mom of Poketo co-founder Angie, was a hit, and sold out really quickly. 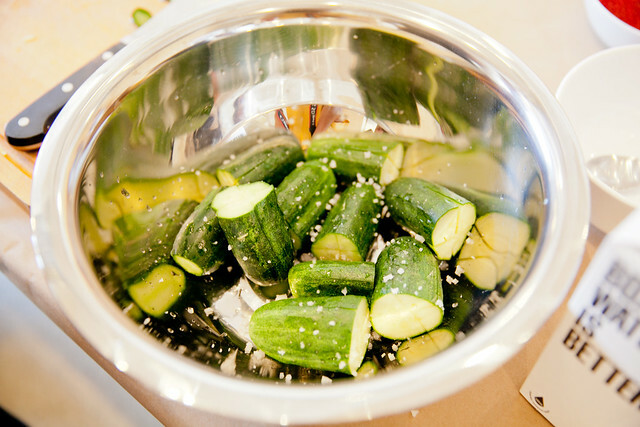 Angie’s mom is the resident kimchi expert, using a recipe that’s been passed down from generations and contains no preservatives or MSG. The students were excited to get to work on their very own versions, and Lydia was full of advice, sharing plenty of helpful tips and insider secrets along the way. 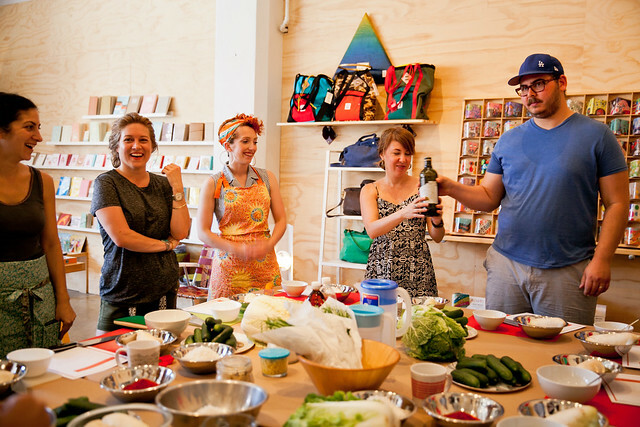 The scent of kimchi lingered in the store the next day – a delicious reminder of a fun-filled workshop! 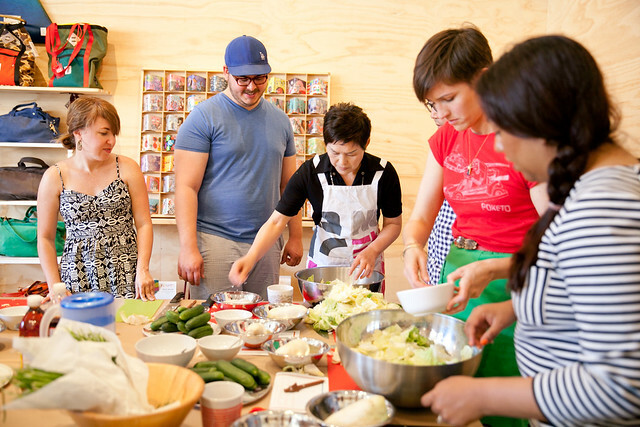 We’ll be offering more kimchi workshops in the future so everyone gets a chance to learn how to make this beloved Korean fermented side dish, so keep your eyes peeled to our Workshops page and don’t miss out on our next class!